The Natural History Museum is definitely one of my favourite places- as it contains some of the most beautiful things you will ever see. 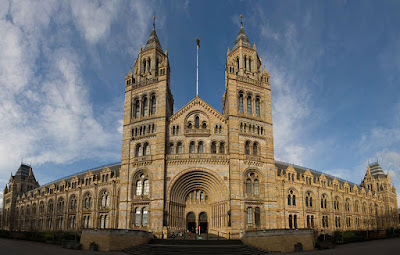 The Natural History Museum is located in South Kensington, near the Victoria and Albert Museum (V&A) as well as the Science Museum, and can very easily be accessed via the South Kensington underground station which is on the Picadilly, District and Circle Line. The Museum is signposted so you can walk there from the station through the short subway. The building is unmissable as it is so large and beautiful. The architecture is stunning, and so stoic. Walking through the main entrance, you will be security checked for sharp objects etc, but once you walk past, you will be faced with a large diplodocus skeleton. Here, the museum is split into different zones- Orange, Blue and Green zones. The red zone can be accessed past the green zone. There is also a side entrance to the museum which will have less visitors coming through this way, so may be quicker... and it leads directly into the Red Zone. The Human Biology is interesting and interactive, and there is a giant embryo/zygote, but it doesn't interest me as much as the other exhibits. The Dinosaur exhibit always attracts a large crowd, and the fossils they have as well as the skeletons are really impressive, and you can walk around and on a metal walkway which is cool. There is also a surprise at the end- - - so be sure to beat the crowd. *Green- contains stuffed bird specimens, creepy crawlies, marine fossils, minerals etc. I really like the birds section as well, because there are so many specimens, all so beautiful and really attractive. They also have on display different body parts of birds, features and compares size and shape etc. so it is quite educational if you have the time to read. The creepy crawlies is good- their live ant farm is pretty cool! This is also quite an interactive exhibition, so I would highly recommend. Along the corridor between these two exhibits is a whole display of marine fossils, which are impressive, but not very lively or interactive. On the upper levels, which can be accessed via the grand staircase linked to the main hall, is an area on primates, and evolutionary ancestors etc. but at the top (where the good stuff is) is a room full of minerals, and at the end, the vault, housing some of the most amazing rocks you will ever see. The thing that is most impressive is the collection of diamonds called aurora, which "glow in the dark". *Red- mainly geology, rocks and minerals, as well as geographical concepts such as weathering, wave power and other interactive points. I've not actually been to the wildlife garden, although on the other side, the butterfly garden is awesome. Also, I've not managed to visit the new Darwin centre yet- but really hope to the next time! 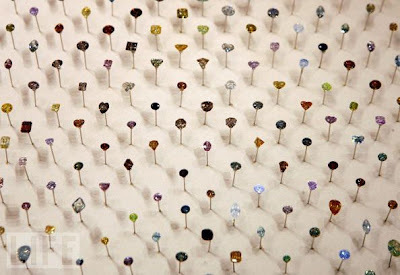 Also, they have paid exhibitions- past exhibitions include Diamonds. They also have an annual wildlife photography exhibition, as well as the ice rink. 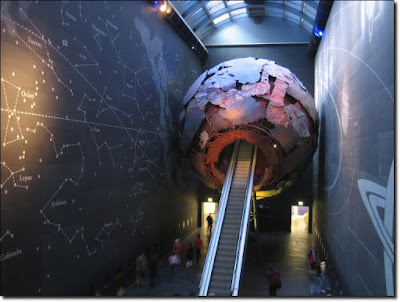 The Natural History Museum is truly a stunning place. The architecture itself is mesmerising, but what's kept inside is even more so. The large number of exhibits mean that you can spend a whole day here, and the things you will see, from beautiful diamonds to stuffed bird specimens- the museum covers a wide range of areas and topics- and by the end of the day, you will be amazed at what you saw and really see the beauty of the Earth- and hopefully have learnt something new as well. Every time I go to the museum I see something new, and it amazes me. The best part is, it is free- so there's no reason why you shouldn't go!